This week is our first week back after Spring Break and our fourth graders were ready to dive into creating their Passion Project display boards! After a brief introduction and a display of another class’ book projects, we were ready to begin! I’ll be honest with you – it was a little bit of mayhem trying to figure out the best way to proceed. We showed the students a blank display board and talked about the required elements. 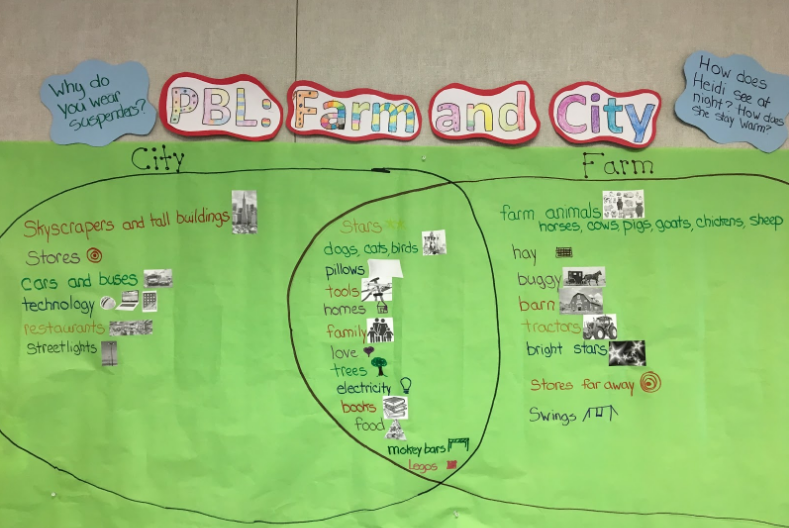 While this wasn’t a science project, we still wanted to align the project display as close to the scientific method as possible to give our students a taste of the structure and organization they would discover in future projects. Students then took some time to complete the planning pages in their Kindness Journals. Since students completed their acts of kindness before break, we needed to fill in the sections for results and reflection. Do we write everything out by hand or use digital tools instead? This is only the second year our school district has used G-Suite tools (e.g. Google Docs) and it’s the first year we’ve jumped into Google Classroom. The learning curve for digital writing was a bit cumbersome at first with students having to create new passwords for first use of accounts, then remembering those complexities as they maneuvered through logging on to the computer, accessing ClassLink, then accessing Google Classroom. Then we had to actually compose writing digitally. There was a moment when I wondered if students might choose the traditional tools of markers and colored pencils, but unanimously the class agreed that digital text was best. Within minutes, students had laptops out, were logging in and we were scrambling to catch up! 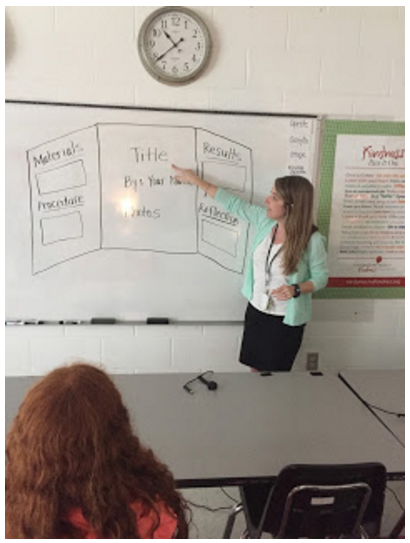 To keep the students organized, and allow us access to everyone’s work, we created individual assignments for each of the display headings: Title (which included presenter name), Materials, Procedure, Results, and Reflection. 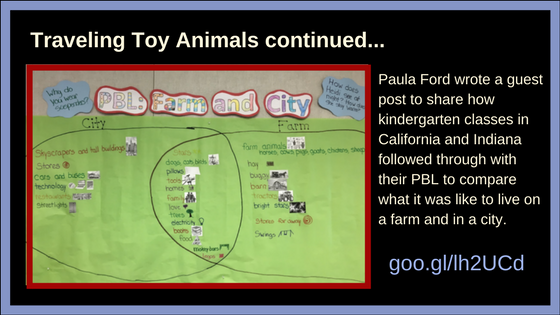 From there, students selected the assignment, created a new Google Doc and voila! Their digital paper was ready for typing. We brainstormed project titles and helped our classmates with creative suggestions. We played with perfect pentameters as alliteration shined through our work. We discussed the differences between bullet lists and numbered lists and figured out how to switch between the two. 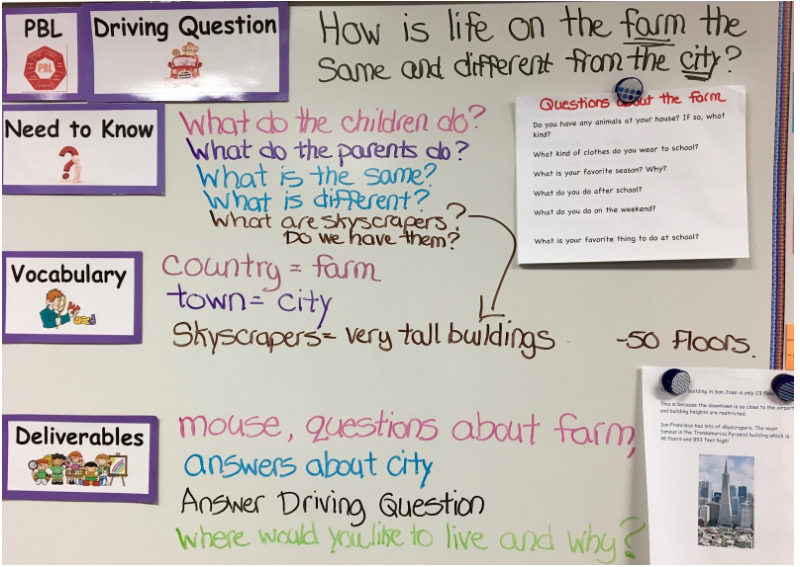 Even though Mrs. Cross and I had mapped-out this entire year-long unit, some basic elements were left for student discovery and discussion. For example, one student asked, “Shouldn’t we have all the headings the same font and size?” Another students asked if they could add more fonts to their selection box, noticing the “More Fonts” option at the bottom of the font pop-up box. The room was noisy and busy with students asking questions, helping neighbors, and requesting to be checked. When students determined that their section was complete, they raised their hand and we put a check mark beside that section on their planning page once it had been reviewed and edited. We quickly realized that the original 45 minutes we had planned for today’s lesson was simply not enough time, so we extended our planning and preparation for another hour. Thankfully, I had planned for success! 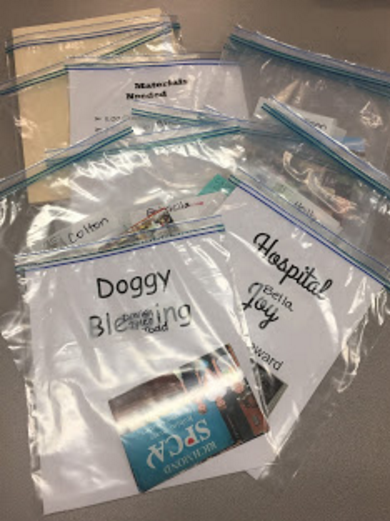 Prior to the lesson, I put student names on gallon-sized Ziploc bags to hold any display items students would create for their projects. This was a lifesaver as many students were printing their pages, ready to customize them for their boards! Next week we will wrap up our digital writing and customize our boards with color, photos and any additional ways we choose. 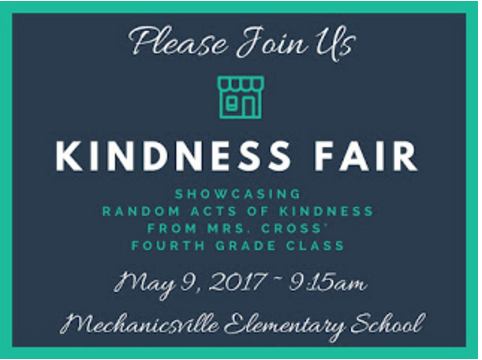 That will leave us one lesson for a dress rehearsal and then it will be showtime: our Kindness Fair is almost here! We can’t wait to share with you all the ways we have blessed others with kindness through our Passion Projects! 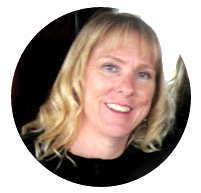 Tamara Letter is a passionate educator with more than twenty years’ experience, leading and learning as an elementary classroom teacher, Differentiation Specialist, and technology integrator. 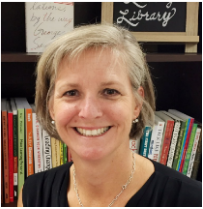 She also serves as the Social Media chair for the Virginia Society for Technology in Education conference and shares her expertise with others through professional development sessions, conference presentations, blogging, webinars and Twitter chats. She enjoys being a mom of three while sprinkling kindness like confetti to all she meets. 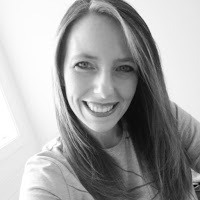 Connect with Tamara on her website: www.tamaraletter.com and on Twitter @HCPSTinyTech. 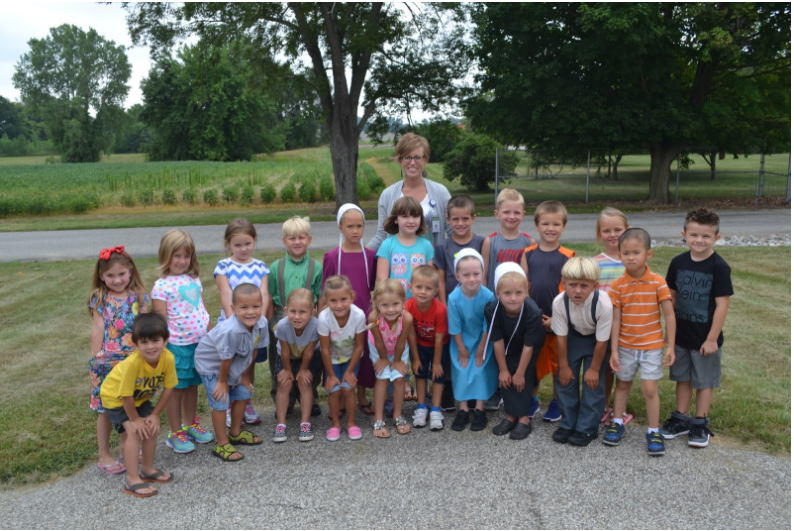 Lori Cross is completing her 25th year teaching. She has taught 3rd, 4th, 5th, and 8th grade. She currently teaches 4th grade at Mechanicsville Elementary School in Hanover County, Virginia. 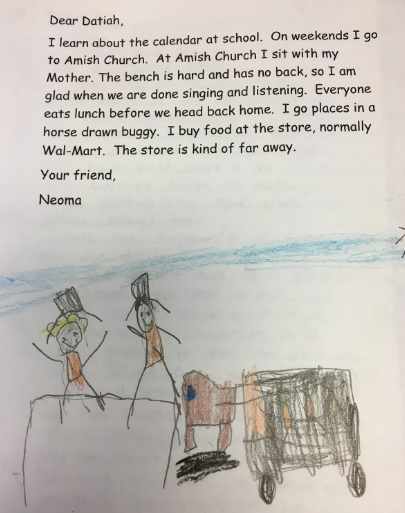 She is active in her community and enjoys getting her students involved in activities including serving the homeless and selling pumpkins at her church. 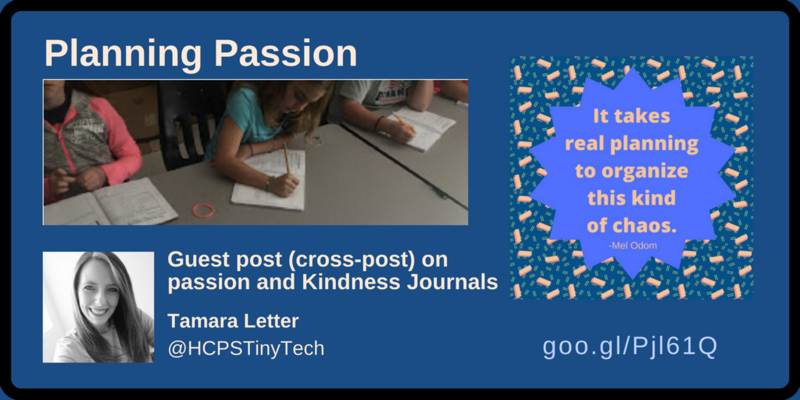 She was thrilled to collaborate with Tamara Letter in this Kindness Passion Project initiative. It has been well-documented that not much has changed in education in the past century. The classroom environment today has eerie similarities to the past. Students in colleges and universities around the world are trained to believe they are the holders of all knowledge. This then transfers to a ‘modern’ classroom with a teacher providing all students in a room the same information, even though some are ready to move on or need more time to comprehend the material. This does not exemplify all schools, though. Harrisburg South Middle School in Harrisburg, South Dakota, has several examples that break this traditional model that has been in place since the Industrial Revolution. Within our walls we have learners, not students. We have learners that are embracing the freedom to drive their learning. My belief is that middle school students are constantly stuck ‘in the middle’ and not considered able to make adequate decisions for themselves. Well, that is a lie and/or a myth. I believe that learners from elementary age to high school are able to advocate for themselves. Unfortunately, adults hinder their growth by believing they (teachers) have all the answers. Many schools still do not want to or know how to allow voice and choice for their students. Voice at South MS happens from the simple: learner input to the student handbook, attendance and a voice in our parent group, and feedback with our personalized learning model called Team Innovate. 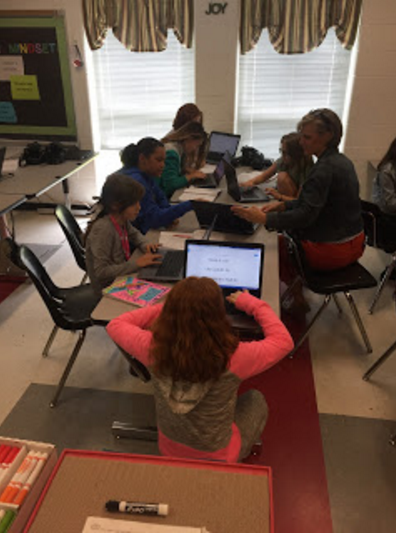 Choice appears in individual classrooms, Team Innovate video of learner choosing her learning and iChoose (combination of Edcamp for learners with 20% time sessions). 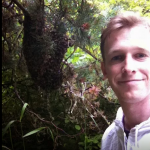 Three years ago I began researching 20% time, commonly called Genius Hour. 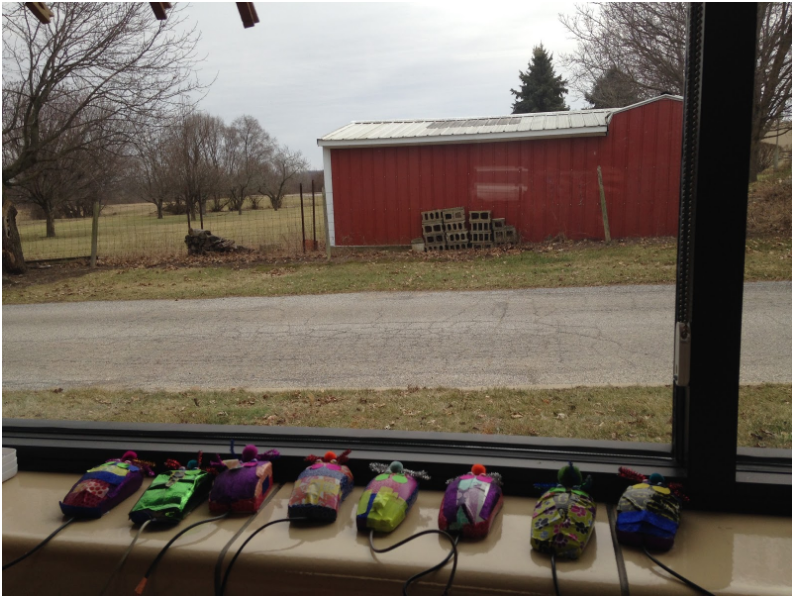 I had a few early adopters to the model within their classroom. After one semester I had an entire grade level of teachers ask to create time to do this model with each student in the grade. After a few semesters of this model, another grade level wanted to engage in 20% time. Our 6th grade was then tasked to ‘sandbox’ an Edcamp model for their students. We then created time every Wednesday for our whole student body to complete 20% time projects or attend sessions they created. 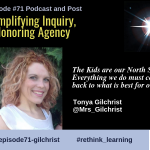 During the summer of 2016, we began our work on a personalized learning model that had our social studies, english/language arts and science facilitators dovetail their standards to create offerings for a group of learners. 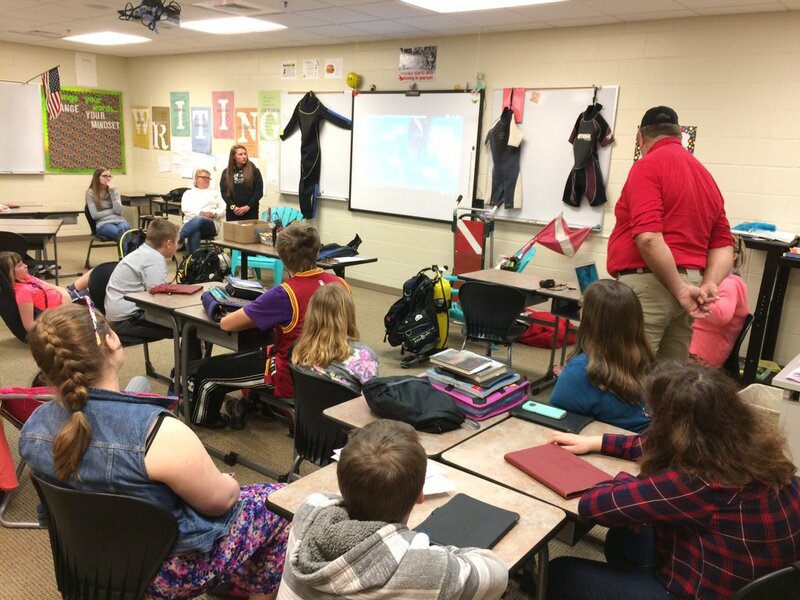 Their work, with much assistance from Pioneer Ridge Middle School in Chaska, MN, was mapped into strands called iLearn, iPractice and iMaster. With this idea in mind, I penned the name iChoose. 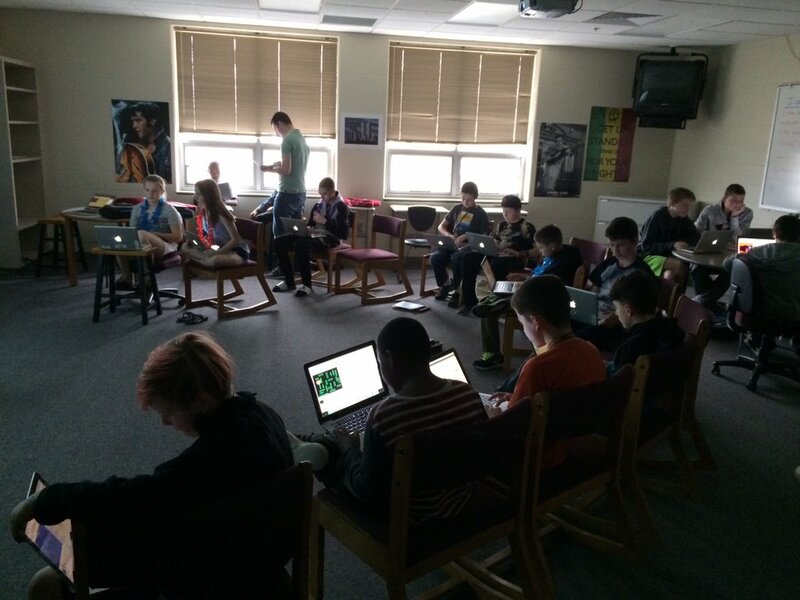 At the same time we began a personalized learning pilot for half of our sixth graders. Team Innovate is a unique model that offers learners a choice of offerings to fit their learning. With the assistance of a scheduling software from Personalized Learning Tools, www.personalizedlearningtools.com, learners form their schedule on a daily basis to match their learning needs. This form of choice has been amazing to watch this past year. 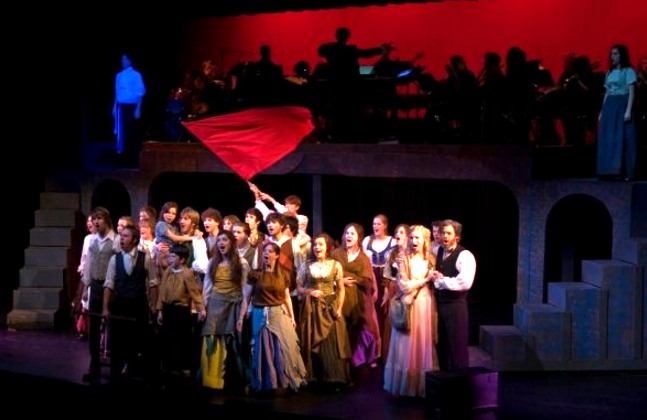 The great piece to iChoose involves empowering learners to engage in their passions. As mentioned above, we had a portion of our learners who did not engage in the 20% Time projects. These learners who did not engage can now have voice in the Edcamp model. What about the learners who DO want to work on a project? Well, they have voice and choice as well. Built into the iChoose schedule, learners can enroll themselves into the session for 20% Time or Genius Hour with again, the scheduling software from Personalized Learning Tools. Butterfly Effect projects involve bringing awareness to an issue or making life better for a group of people. Projects included working with patients at our local children’s hospital, creating an anonymous website highlighting positive traits of every 6th grade peer, and a group of 8th grade girls who visit with younger girls to build our school culture. 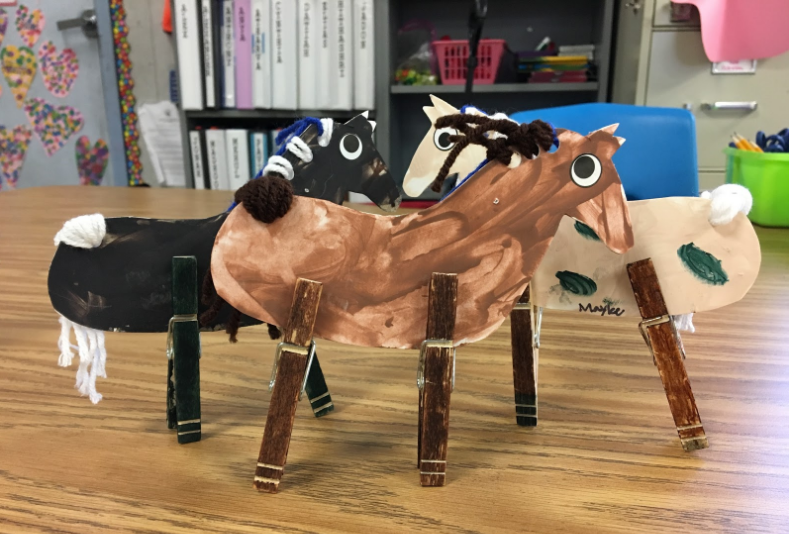 A few Genius Hour projects from last year that became TED Talks at a Showcase Night were up-cycling, Anti-Bullying Campaign led by learners, discrimination study, doorstop invention, musical instrument made from PVC pipe and autism awareness. Throughout this year, we also discovered that our Edcamp topics could evolve into Passion projects. 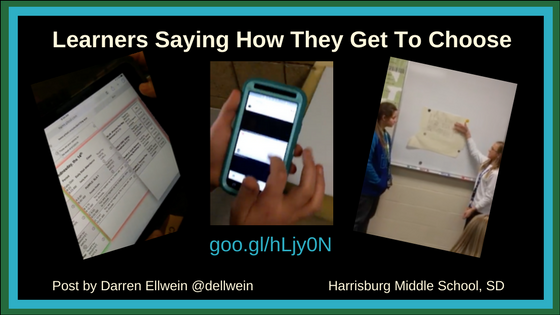 One example was an ASL offering during Edcamp that led two girls to create a Passion project. They have led ASL during our choir concerts and created their own Edcamp offering for their peers to attend. As iChoose continues to evolve, we anticipate more learners will be leading sessions for their peers. I believe educators have to make a choice. We either choose to reside in a model of learning that was created a century ago, or we can think differently. I want our opportunities to be learner-driven, instead of one person holding knowledge and deciding when it is imparted to the masses in the room. 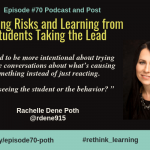 The shift to more learner choice is difficult for most educators. Often I hear discouraged educators trying to institute change being told, “Just do it the way we have always done it.” or their colleagues saying, “Why can’t you just be traditional?” I heard a quote recently that fits my mindset. 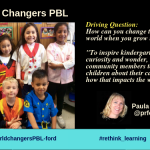 “Whether you believe you can or you can’t, you will.” My time within this timeframe of education is short, so my choice is “I can.” Will you say the same so we can transform learning together? 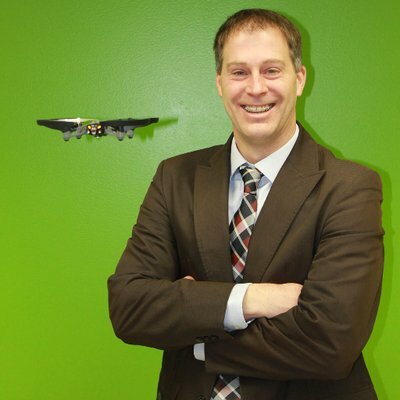 Darren Ellwein is a middle school principal from South Dakota who recently received the 2017 Digital Principal of the Year from the National Association of Secondary Principals. His mission is to bring voice and choice to learners by allowing opportunities for innovation and creativity in his school. Risk is promoted, and failure is a learning opportunity to find successful solutions. 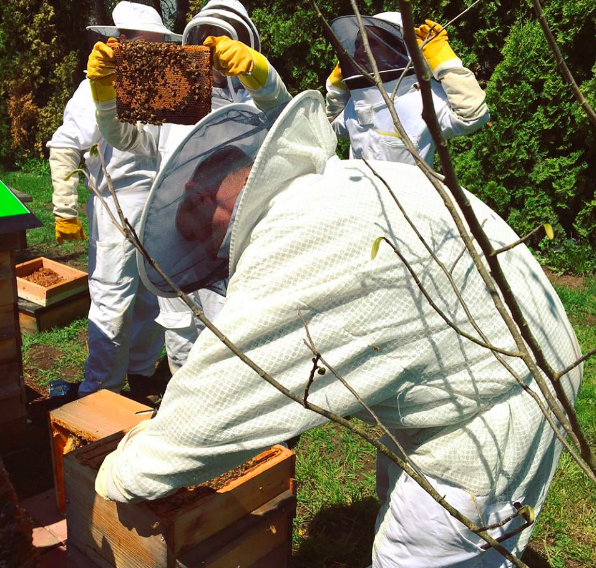 His school has embarked with a unique personalized learning model, and he has created a learning opportunity called iChoose. ‘No Box Thinking’ is a phrase he has coined that drives his vision for the learning opportunities of his facilitators and students. In 1970, Neil Postman and Charles Weingartner wrote an article in The School Review (Vol. 78, No. 3 (May, 1970), pp. 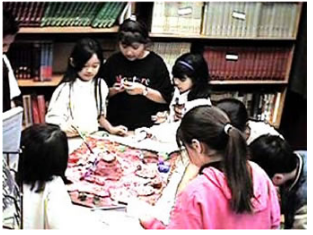 429-434) entitled “Teaching as a Subversive Activity.” They point out the best educational environments are ones that are open-ended and inspire wonderment through interesting activities. I started using the term “Teaching as a Subversive Activity” when No Child Left Behind was enacted. I just now learned where it came from. 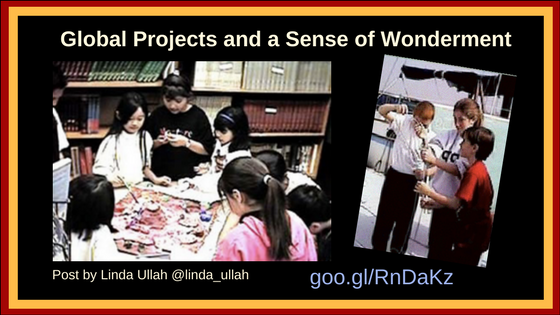 Forty-seven years later, in spite of legislation to the contrary, the best educational environments are still those that are open-ended and inspire wonderment through interesting activities that empower learners to develop agency. Throughout my long career as an educator, I experienced several swings of the pendulum–several “reforms.” Teaching, for me, has been a long process of learning. I’ve been fortunate to work with outstanding educators who really care about their learners. It is that caring that is the key to empowering learners to wonder, to be curious, to be excited about learning. 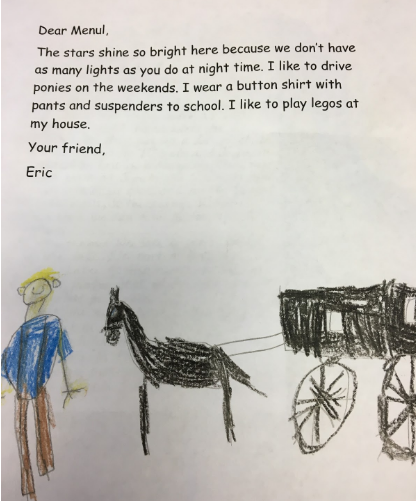 In the 1990s, while teaching at Edenvale School in the Oak Grove School District in San Jose, CA, my learners became interested in local history when the school was celebrating its 25th anniversary. Encouraged by my principal, Meril Smith, I wrote an Apple grant and got 8 networked computers, some software and a dial up AOL connection. The grant was based on our local history project which my learners entitled The Great Edenvale Detective Caper. This was my foray into project-based learning and into personalizing learning, although, at the time I was unaware of these pedagogies. 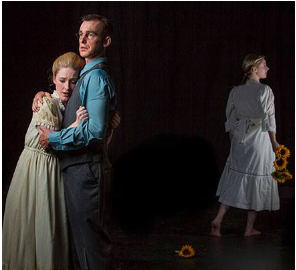 I blundered my way into them instinctively because it seemed like the right thing to do. I still remember standing in the middle of my classroom watching every learner fully engaged in the project and not needing my help. The project morphed and continued over the next three years. 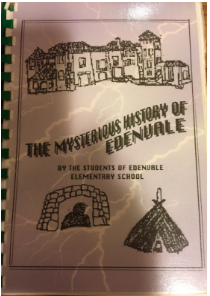 During that time my learners, and other learners at the school, wrote, self-published and sold a book entitled The Mysterious History of Edenvale, Proceeds from the book were donated to the Adopt-a College program to help provide college scholarships for former Edenvale learners. Edenvale learners also wrote and performed in a local history play named “Edenvale 95111”, created a school-wide, local history day with games and activities for each period of history, designed and painted a local history mural on campus, worked with East Los Streetcapers to help design a piece of street art near downtown San Jose, and created a local history museum on campus. The project took on a life of its own because the learners were in charge of it. On occasion, I still hear from my former learners wanting to know if I still have copies of the book that they might borrow or purchase. I’ve managed now to save just one copy for myself. As Edenvale school became networked, more opportunities for my learners to work with others presented themselves. I joined some National Geographic Network science projects during which my learners worked with research scientists and learners from other schools around the U.S. and the world to do real scientific research on acid rain, recycling, water pollution. 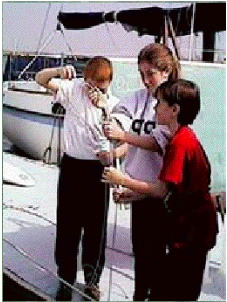 This led my learners to become more interested in pollution, and I was fortunate to be selected and trained in Global Project Based Learning in Qiryat Shemona, Israel along with teachers from several other countries. I was partnered with a high school in Sao Paulo, Brazil and my elementary school learners worked with high school learners on a cross-curricular project centered around water-pollution. My learners and I also participated in several Jason Project projects working with scientists and learners from around the world doing research on volcanoes, coral reefs, rainforests, etc. During this time I noticed that the more I allowed my learners to control what they wanted to learn about and how they wanted to learn it, the more excited and engaged they were. 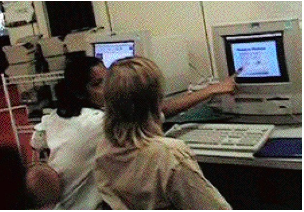 In 1995, I took a part time position as a technology learning coordinator in my district for the Challenge 2000 Multimedia Project–a federal technology challenge grant through Joint Venture Silicon Valley involving schools in Santa Clara and San Mateo Counties. I remained in the classroom part time. As a group of educators, the TLCs (technology learning coordinators) under the direction of Michael Simkins became a powerful professional learning community as we learned from each other about project based learning, collaboration, and coaching. 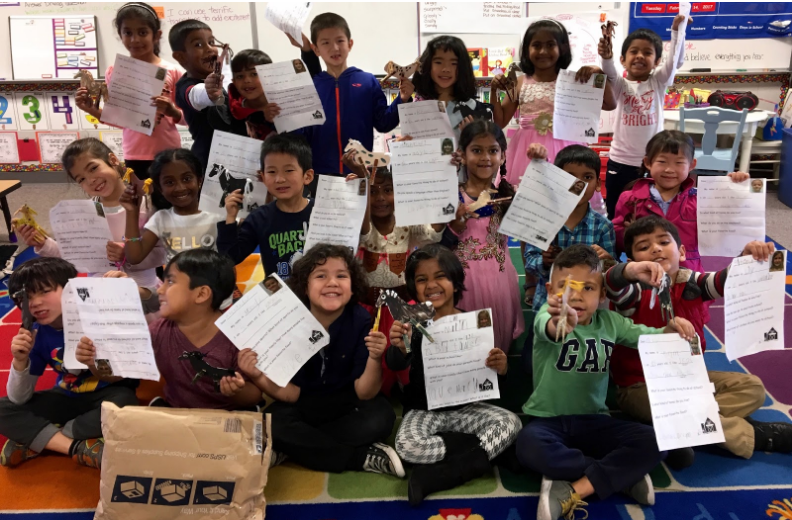 My learners worked with learners at Frost Elementary School and the Live from Mars Project to create shoe factories (their choice) for a Mars Colony. The following year, my learners chose to create the Mars Virtual Olympics. The teachers I coached began to do collaborative projects with other classes and schools as well. 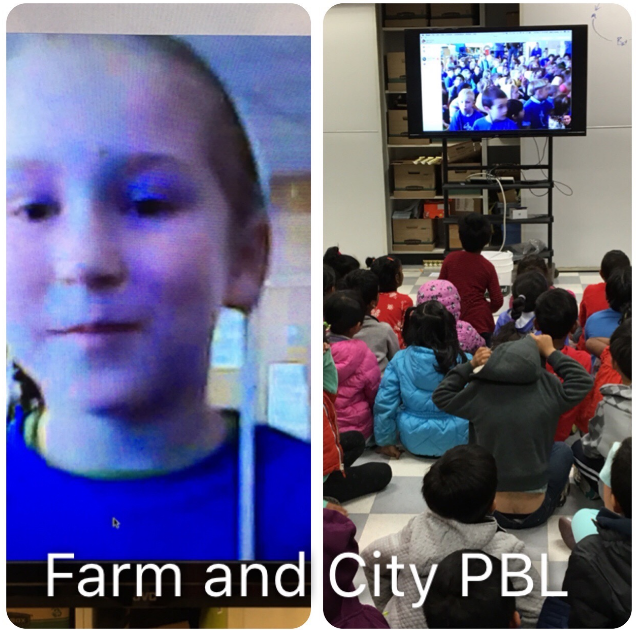 My passion for connecting classrooms around the world began to grow. 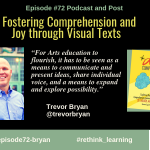 How do we empower our learners through wonderment and interesting open-ended educational activities when standardized testing looms like a hungry tiger looking for prey? How do we assure that our learners are fully engaged critical thinkers who remain the motivated, joyful learners they were before they started school? 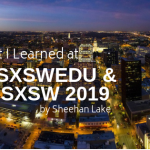 How can we as educators assure that our learners have the skills they need to live and work in a global economy and in a world where technology connects us in both positive and negative ways? Globally literate people have an understanding of diversity, culture and language that allow them to live and work in peace with each other. We live in a culturally, racially, religiously and linguistically diverse world full of wonderful opportunities. Giving our learners the chance to work with learners who live in other cultures can only strengthen global understanding and hopefully promote world peace. In our global economy it is critical that our learners develop an inherent respect for the many cultures, races, religions and languages of the world. The first question I get from teachers is: “…but I have standards to “cover” before the “tests”. This is followed by the statement: “ I have to assure my learners show …x… on the state tests.” Since I view teaching and learning in an era of “accountability” as a subversive activity, my reply is paying homage to standards and standardized test does not mean you have to sacrifice real learning. Real learning happens when learners are empowered, excited and engaged. It is that sense of wonderment that Postman and Weingartner discussed. Begin by finding out what excites and interests your learners. Discover (perhaps with your learners) where those interests and the standards intersect. Think cross-curricular. If you are at the secondary level, look for a partner teacher who teaches a different content area. If this is new to you, look for global projects that meet your learners interests and the standards. Find a friend or family member who is traveling and have them blog their trip for your classroom and/or take a Flat Stanley along with them. For example, in 2006 Flat Stanley went with me to Singapore and Bangladesh for a friend’s classroom. 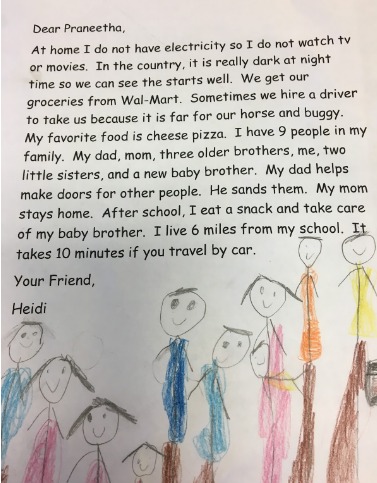 Finally, look for a colleague or friend who teachings in another school, another state, another country and begin to plan a project that connects both of your classrooms. My eCoach is an excellent collaborative planning tool. Former President Jimmy Carter once said, “We become not a melting pot but a beautiful mosaic. Different people, different beliefs, different yearnings, different hopes, different dreams.” One of the best gifts we can give our learners is to help them, through their interests, develop wonderment about the world and the people who live in it. Linda Ullah has a M.Ed in Special Education and a M.A. in Instructional Technology. 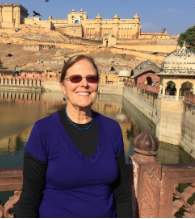 She is an online instructor for the Krause Center for Innovation at Foothill College. She has been an elementary classroom, special ed, Title 1 and GATE teacher, a technology learning coordinator, teacher in residence at the Krause Center for Innovation , a school development coach for the New Tech Network, a coach for the Friday Institute at NC State University, and a coach for Personalize Learning, LLC.